The Northern boundary of Applegate runs along the ridge between I-80 and Meadow Vista, while the southern boundary runs along the American River Canyon. Applegate is set amongst pine trees, manzanita and oak trees. 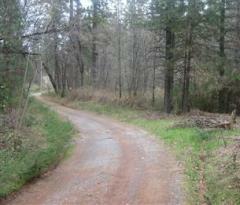 The real estate market in Applegate is comprised primarily of single family homes on acreage and vacant lots. There are a few businesses, a motel and a post office along Applegate Road that serve the community, along with a branch of the Placer County library system and a fire station. Residents are only a short drive to Auburn, where they can do most of their shopping. Near Applegate Road and Boole Road is Applegate Park, which has numerous picnic tables and a baseball diamond, where it common to see little league games throughout the spring and summer. Many of Applegate's residents participate in the town functions of nearby Meadow Vista, Colfax and Auburn, which is also where many of their children attend school. Applegate is served by Sierra Hills Elmentary in Meadow Vista, Wiemar Hills Middle School in Weimar and Colfax High School. All of which are top performing schools.